She's back at her mom's place. Khloé Kardashian and Tristan Thompson have reportedly broken up due to allegations that he cheated with Kylie Jenner's best friend, Jordyn Woods. Sources claim that the Kardashians are "beyond angry and disgusted" by Jordyn's alleged betrayal, and they're cutting her off. Jordyn has reportedly moved out of Kylie Jenner's home, where she's been living. Ready for another update in the ongoing saga that is Khloé Kardashian and Tristan Thompson's break up? Me neither, but here we go. 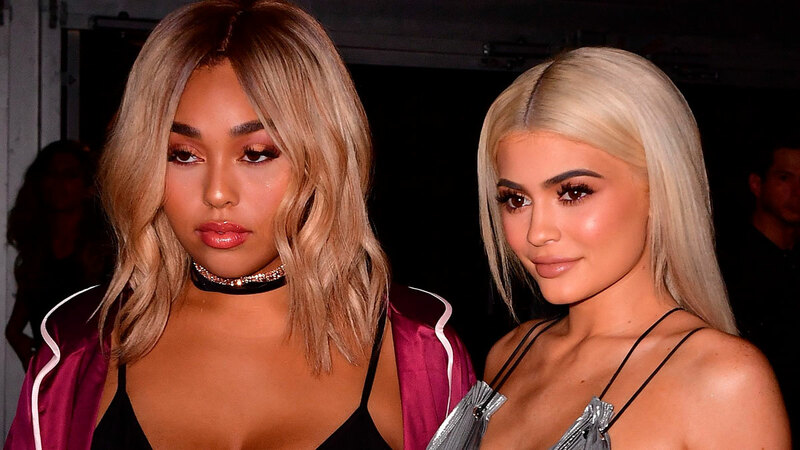 People reports that Jordyn Woods (who, reminder, reportedly hooked up with Tristan) just moved out of Kylie Jenner's house—and she's leaning on her family. Sources tell People that Jordyn is "moving back to her mom's house," and that "it's been a difficult time and she's broken up about it. She's heading home to be with her mom." Sources also tell the mag that the Kardashians "considered Jordyn family. She was like a family member and always invited everywhere. The family helped her and wanted her to be able to have a business venture too." Kylie is obviously particularly stressed about this situation, with sources musing "Jordyn has been like Kylie's sister. They were inseparable, and always together. Jordyn often helped Kylie with Stormi. Kylie was always so excited to have Jordyn around. It seems Kylie isn't sure what to do, but it seems impossible for her to keep Jordyn around." FWIW, as of now Kylie still followers her BFF on Instagram. So maybe their friendship still has a chance? !